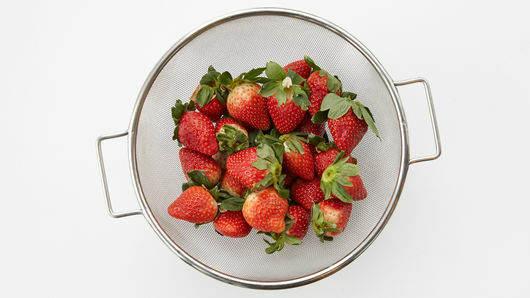 Gently rinse strawberries; dry on paper towels (berries must be completely dry). 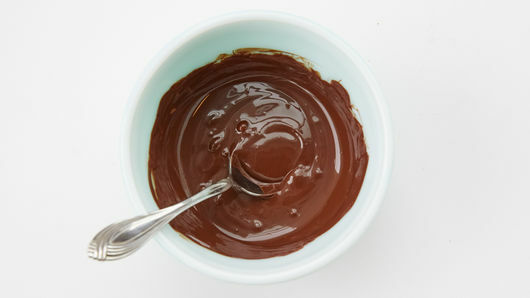 In small microwavable bowl, microwave chocolate chips and shortening uncovered on High 1 to 1 1/2 minutes, stirring every 30 seconds, until melted and smooth. 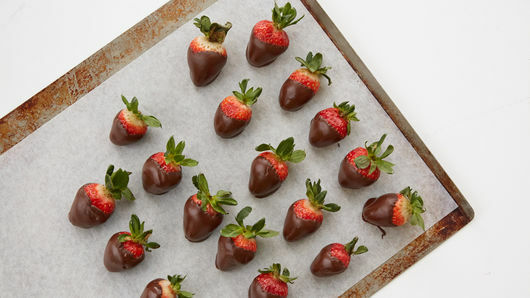 Dip lower three-fourths of each strawberry into chocolate mixture; allow excess to drip off into bowl. Place on cookie sheet. Refrigerate about 30 minutes or until chocolate is set. Store covered in refrigerator. White vanilla baking chips can be substituted for the dark chocolate chips. Microwave uncovered on High 1 to 2 minutes, stirring every 15 seconds, until smooth and melted. 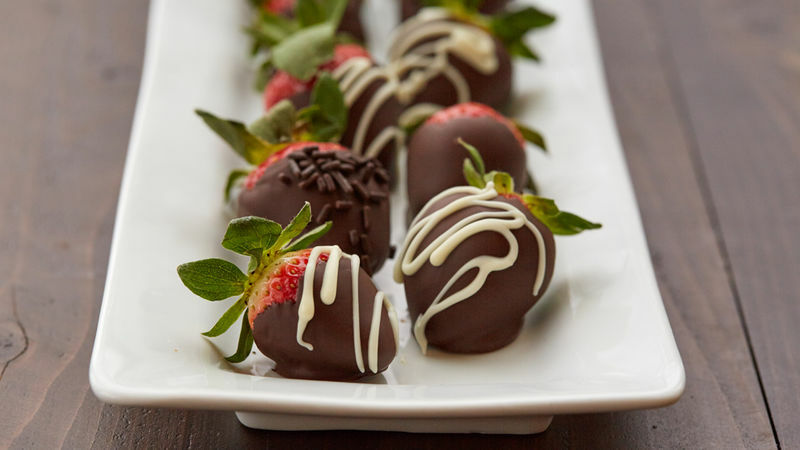 For a more elegant strawberry, drizzle chocolate-dipped strawberries with melted white vanilla baking chips. Refrigerate as directed.